Sitting across from Bella, in her hot pink boots and matching flowered headband, you wouldn’t assume her to be the resilient and determined fighter she is. On this beautiful, cloudless February day it seems as if we are a million miles away from the hospitals, labs, and uncertainty that has plagued this family for the past 10 months; but the truth is … uncertainty is now an ever-present, unwelcome addition to their lives. 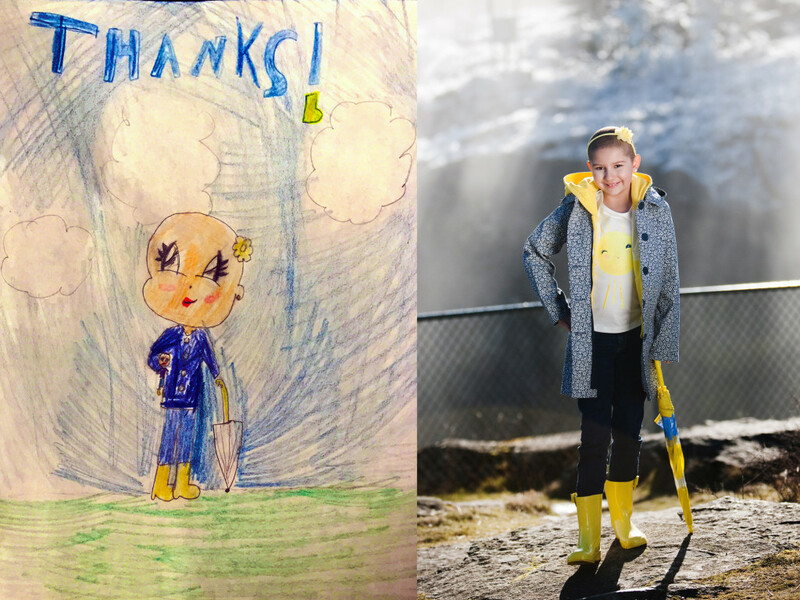 Early May 2014 a spunky eight year old Bella fell while at play during school recess, and no one questioned the source of the pain she felt in her ankle. However, the pain from the fall did not subside, it grew worse. Bella began experiencing progressive pain from her ankle, up her leg, and into other extremities. Bella’s parents, as would be expected, turned to the little girl’s primary physician for further investigation and answers. Standard tests revealed nothing alarming, and the family was sent home with no resolution or explanation for the little girl’s symptoms. As the weeks progressed and Bella’s healing did not, the family became increasingly uneasy. Several more visits to the primary healthcare provider proved frustrating and ineffective in aleviating Bella’s suffering. By the end of May Bella began experiencing motor skill loss in her hands and was unable to write. Weary and dejected, Bella’s parents finally circumvented traditional medical protocol and took the ill child to the emergency room at Sacred Heart Hospital. Bella’s mother was not insistent or overbearing; she did not run through the litany of medical poking and prodding Bella had already undergone; and she didn’t even attempt to speculate as to the nature of the beast plaguing her child. The hospital’s staff heeded the intuition of the frightened mother and set about trying to help. Bella’s mother shuttled her little girl between multiple specialists in a dizzying attempt to put the puzzle of her child’s failing health into perspective. During the process Bella stayed strong. She tolerated innumerable X-rays, blood test, and even two MRI’s. In fact, an error in collecting the desired image during her second MRI proved serendipitous. The image peered into an upper area of Bella’s thigh which was not suspect at that time. As the family would come to find, the cancer was only visible in the image at a point that would not have been captured had the MRI been executed as ordered. Relief, remembrance, and intensified concern wash over Bella’s mother’s face as she speaks to me of the fateful phone call that would forever alter her family. Over a month had passed since Bella’s initial fall. The pediatrist who read the MRI results was not a regular player in the cast of medical providers, so it came as some shock to Bella’s mother when the doctor called her to urgently discuss treatment. She was lunching with Bella at Olive Garden … She was not prepared to learn that her daughter had cancer while eating lunch at a cheery restaurant full of boisterous people. Immediately Bella began heightened testing to determine her specific type of cancer, and further still, how to beat it. Bella was diagnosed with leukemia. Initially, doctors could not identify the type of childhood leukemia she had, and precious time ticked away. Frustrating yet familiar; The family now had a name to put to Bella’s assailant, but without determining the type and subtype of the cancer they were not able to effectively battle on her behalf. 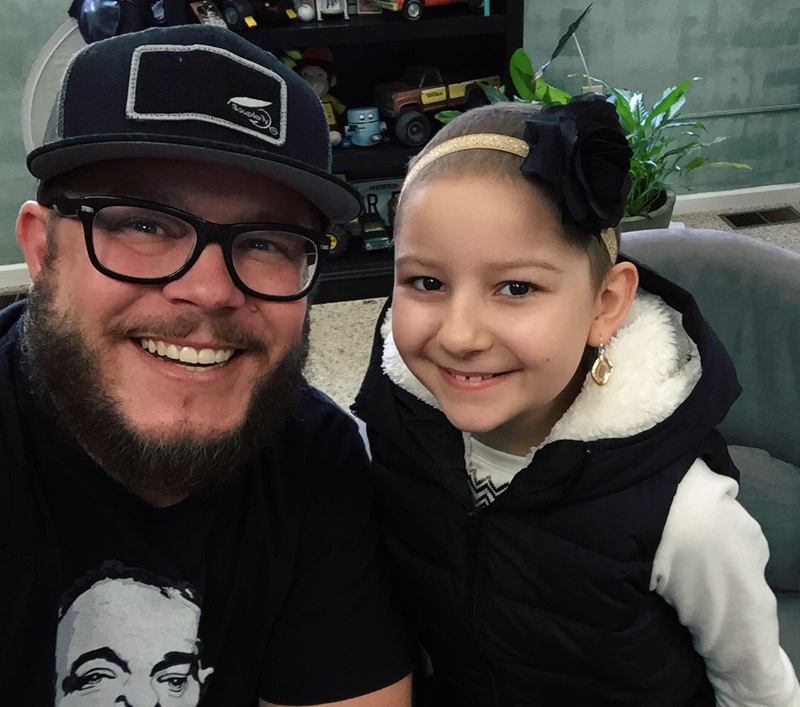 Bella began aggressive acute myelogenous leukemia (AML) treatment in hopes of halting the disease’s progress. Meanwhile, testing never ceased. Blastic plasmacytoid dendritic cell neoplasm leukemia. Only 33 documented cases in the world. I sit, numbly, rolling the minuscule number around in my head. Those aren’t the kind of stats one would be excited to learn. How could they build a team of ‘experts’ to champion Bella’s recovery with so little information to be had? Again, my musings are muted by the impromptu response of Bella’s mom. “Want to know something amazing? Bella’s body has cells that are ‘natural killers’ for the cancer. She has some ability to fight the cancer on her own. That isn’t the case most of the time!” I can’t help but warmly return her smile. I see that hope never left this woman. It is the glimmer of hope that is more infectious than the cancer cells plaguing her daughter. It is hope that is needed most. Bella’s medical team shares her family’s hope and determination. How could they not? This family bursts with attentive, present love and appreciation for each moment they have with one another. Even after more than 12 rounds of chemotherapy in eight short months their resolve is unbroken. My mind wanders again, and my eyes travel around our intimate little circle of conversation to Bella’s beaming, young face. She softly stroke her mother’s arm as she rattles off overwhelmingly long procedure names … and proudly adds that she has undergone all three kinds of chemotherapy. When her mother’s looks turns even the slightest bit melancholy Bella is right at her side to offer comfort. She is not asking for pity, or remorse, or sadness. She just offers light and love. This is one magnificent little girl; Again, I am moved to the verge of tears. My own heart swells with appreciation for life; my life, my children’s lives, and for the lives I have been touched with over the course of time which seemingly parallel the lives of this family today. I am reminded that no one asks for the trials set before them … the best we can each hope for is that we handle our tribulations with a fraction of the grace and resolve Bella has shown. I can’t help but wrap up our time together with the only question I can muster. “What do you want people to know about you?” Bella shoots her mom a quick glance that I cannot read and shyly smiles, “I love lipgloss and shopping. And, I really want to be a gymnast when I grow up.” A hearty laugh escapes each of us at the simplicity of her statement. Somehow, Bella has transcended her physical circumstance and is not living as a slave to her disease’s shackles. 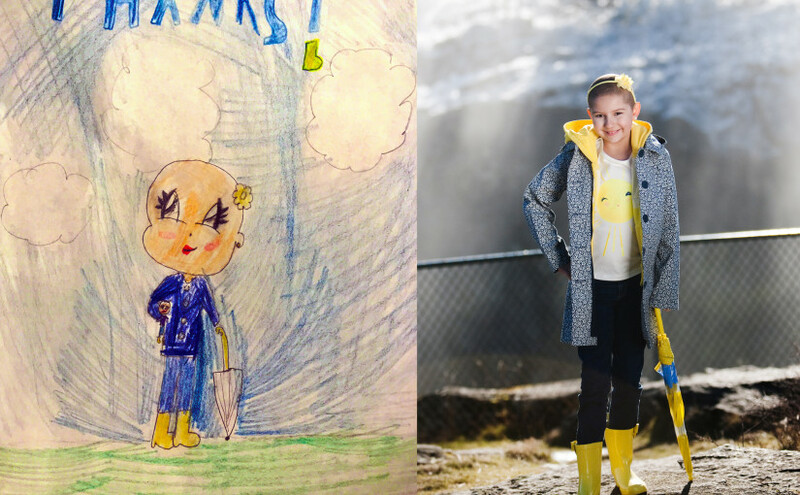 This bubbly (now) nine year old is not only celebrating over two months in remission, she is celebrating life! Bella visits Sacred Heart regularly, even though she is not currently a patient, and partners with children undergoing similarly frightening medical battles. She is quick to share her story when asked about the sweet doll, Cassidy, she hauls along with her everywhere. She and her mother regularly bring comfort items to the labs and hospital wards that have become like second homes to them in hopes of brightening other families’ hearts. Wherever a need exists, this family is trying to fill in the gaps, and many, many lives are better for it. Bella tugs at her mother’s sleeve as a subtle indication that she would like to leave, and my glimpse into this remarkable life comes to a close. We exchange hugs and thanks, each of us sure we were the one to have gained the most from our shared time. Perhaps we are all richer for the joint experience. Simultaneously, I am humbled and exhilarated. I have seen the face of an angel today … not an intimidating and awesome cherub of fire and brimstone, but a gentle and unassuming champion of hope and love. Bella is that champion.